Last month, Synyster Gates held a Master Class in Los Angeles. 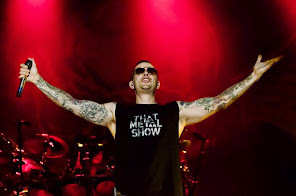 "Avenged Sevenfold has always been a band that champions musicality," Gates commented of the class. "I'm passionate about the art of guitar, and this Master Class is the perfect opportunity to help further the skills and careers of like-minded musicians."